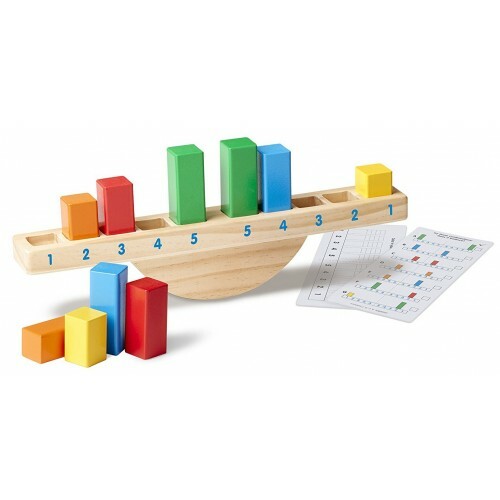 Watch as your toddler's balancing, color and number recognition skills grow when they stack colorful wooden blocks on the quality see saw base. 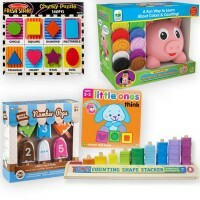 Develops skills: colors, numbers, matching skills, sorting skills, fine motor skills, problem solving skills. 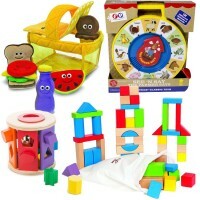 Create your own little problem solving playground indoors with the Rainbow Balance See-Saw Rocking Sorter from Educational Toys Planet! 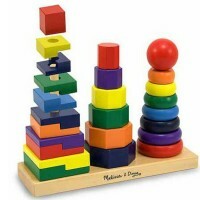 Watch as your preschooler or toddler's balancing and shape recognition skills grow when they stack colorful wooden blocks on the quality see saw base. 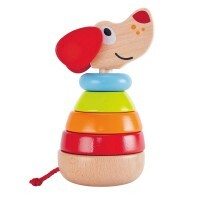 Created by accredited toy manufacturer, Melissa & Doug, this wooden balancing shape set is a perfect educational toy for both the home and classroom. 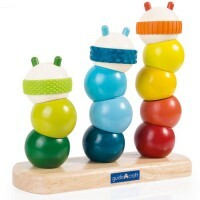 The Rainbow Balance comes with a sturdy wooden base, and two of each eye colorful, finely made shapes. 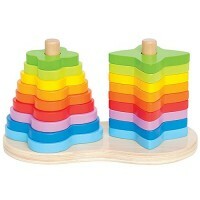 This shape rocking toy comes with 10 rectangular blocks. 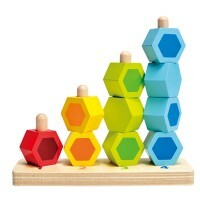 Mix and match the shapes in the numbered slots on the solid wood base to check its balance. Try different combinations shown on the 2 activity cards, or come up with your own ideas. 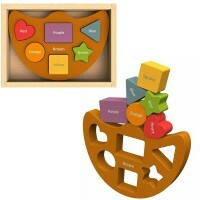 Help your child see saw their way into higher education with the help of this balancing shape sorter kit! 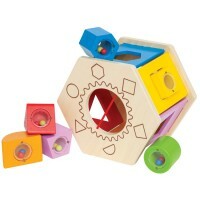 Dimensions of package 8.2" x 3.2" x 8.2"
Write your own review of Rainbow Balance See-Saw Rocking Sorter.